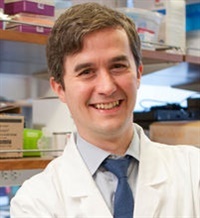 Conor Liston, MD, PhD is an Assistant Professor of Neuroscience and Psychiatry in the Brain and Mind Research Institute and Department of Psychiatry at Weill Cornell Medicine. His laboratory operates at the interface between basic circuit neurobiology and biological psychiatry. The long-term goals of his research program are 1) to define mechanisms by which neuronal subtypes in the prefrontal cortex (PFC) interact to support learning, memory, and motivated approach and avoidance behaviors, and 2) to understand how these processes are disrupted in chronic stress states and in stress-related neuropsychiatric disorders. To this end, his laboratory employs an approach that integrates optogenetic tools and genetically encoded calcium indicators with two-photon imaging and functional MRI, and they are actively developing new methods for quantifying cortex-wide circuit dynamics in topologically defined neuronal subtypes. His work has been recognized with awards from the Brain and Behavior Research Foundation, the Whitehall Foundation, the Klingenstein-Simons Foundation, and the Rita Allen Foundation, among others. Prior to starting his lab at Weill Cornell, he completed his undergraduate training at Harvard College; his PhD, MD, and residency training at the Rockefeller University and Weill Cornell; and a postdoctoral fellowship in the Stanford University laboratory of Dr. Karl Deisseroth.